The City of Davenport provides public roadway lighting for the safety of vehicular and pedestrian traffic. In general, the City tries to maintain a consistent pattern of lighting that will reduce dark areas and provide drivers and pedestrians with safe travel. The City has teamed with MidAmerican Energy Company to design roadway lighting in new areas as they are developed. This policy has allowed MidAmerican Energy to install lighting without driveway and landscaping conflicts. 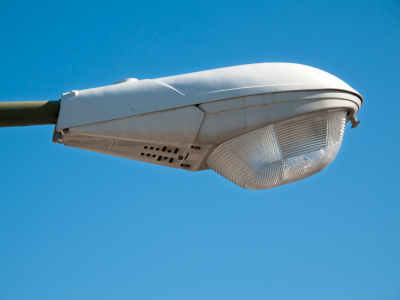 In areas developed before the lighting policy was in place, the City will investigate requests for new public lights. To schedule an audit of the existing conditions to determine if additional roadway lighting is warranted in your area, call 563.326.7923. If warranted and feasible, installation of additional street lighting requires completing a petition form signed by the person making the request and all residents near the proposed light. Once the petition is returned, it is presented to Council for approval. Please be aware that return of a signed Petition for Public Lighting form does not guarantee that additional lighting will be approved. The Public Safety Committee makes the final determination of placement of roadway lighting. The majority of the roadway lights within the city are owned and maintained by MidAmerican Energy. If the street light is not on the map, it is a MidAmerican Energy maintained street light. Report these streetlight malfunctions and outages by calling MidAmerican Energy at 888.427.5632 or by visiting their website. If the street light is on the map, it is a City maintained street light. Maintenance of city maintained street lights can be initiated by calling Public Works at 563.326.7923 or by making a request at this link.